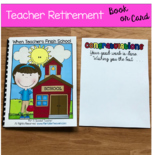 Put together this beautiful booklet for a retiring teacher! 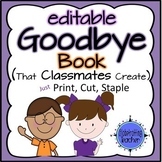 Give every student a copy of the handout to fill out and then bind the front cover, student work and back cover together. To make long-lasting consider laminating. 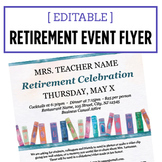 Know anyone retiring from the classroom any time soon? 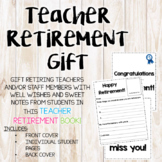 The teacher survival kit and report card for former and/or current students to complete are a great send off to the end of a great career. 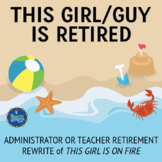 Here are some retirement decorations that I created and used for a co-worker's retirement. 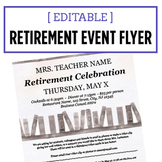 I filled boxes with mints and added the enjoy your retire-mint sign to the box for centerpieces. 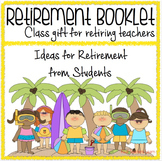 Students can give the retiring teacher a report card and then draw a picture of their favorite memory together. 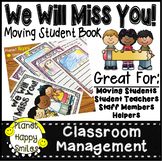 Student Moving Memory Book, We Will Miss You!